UYU (우유) –a translation of milk in Korean – is a soft serve ice cream parlour that uses organic milk as a base ingredient in all of its products. 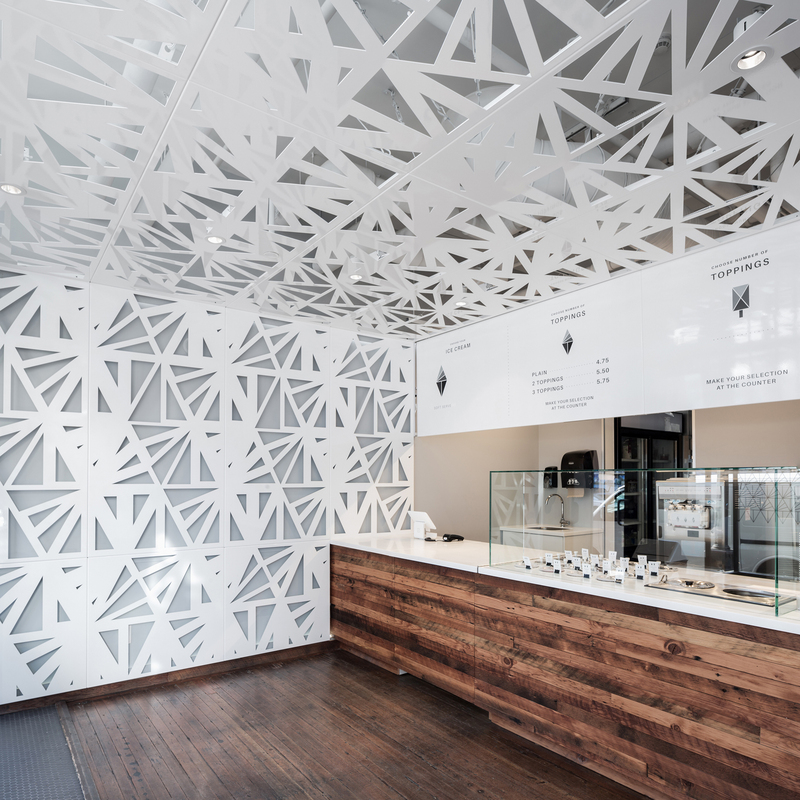 Inspired by the crystalline patterns found in frost, an irregular motif was developed for the wall and ceiling panels. The intricate design was then constructed by water jet cut metal sheets. This pattern also references UYU’s logo and identity, playfully suggesting the store’s product: ice cream. Through an iterative design process of simplification and standardization, the sizing and coordination of these panels was key in providing a highly coordinated experience. Leckie Studio Architecture + Design is an interdisciplinary design studio based in Vancouver, Canada. The studio was founded in 2015 by principal architect Michael Leckie. We engage in the practice of design across a range of scale and media – including architecture, interiors, installations, and product design.